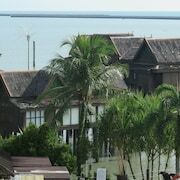 Situated in Langkawi, this beach hotel is within 2 miles (3 km) of Langkawi Beach, Field of Burnt Rice and Atma Alam. Burau Bay is 2.7 mi (4.3 km) away. Nestled on the beach, this Langkawi resort is within 2 mi (3 km) of Langkawi Beach, Field of Burnt Rice and Atma Alam. Burau Bay is 2.7 mi (4.3 km) away. 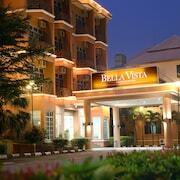 Situated in Langkawi, this hotel is within 2 miles (3 km) of Langkawi Beach, Field of Burnt Rice and Atma Alam. Burau Bay is 2.6 mi (4.1 km) away. 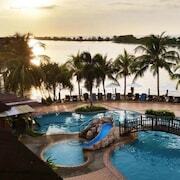 Situated in Langkawi, this hotel is within 1 mi (2 km) of Field of Burnt Rice and Langkawi Beach. Atma Alam and Burau Bay are also within 3 miles (5 km). 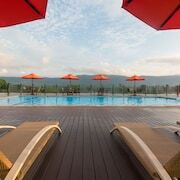 Situated in Langkawi, this spa resort is within 2 miles (3 km) of Langkawi Beach, Field of Burnt Rice and Atma Alam. Burau Bay is 2.5 mi (4.1 km) away. 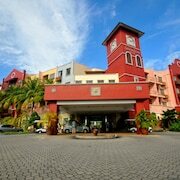 Situated in Langkawi, this hotel is within 2 miles (3 km) of Langkawi Beach, Field of Burnt Rice and Atma Alam. Burau Bay is 2.5 mi (4 km) away. Visitors to Padang Matsirat are sure to enjoy the beaches and restaurants. 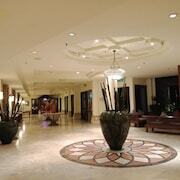 The relaxing and welcoming setting also entices those visiting the city. A top sight in the area is Langkawi Cable Car.